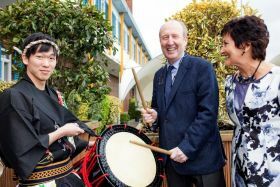 The Holiday World show got off to a great start in Belfast last weekend attracting record numbers to sample over 300 exhibitors products from all over the world. Maureen Ledwith (Holiday World Director) and the Holiday World team now open their doors this week in Dublin where you can visit over 1,000 travel professionals under one roof. Taking place in the RDS Simmonscourt, Dublin from Friday 25th to Sunday 27th January, the trade morning commences on the 25th from 10.00am to 1pm which is a great opportunity to renew existing relationships and also seek out new trade partners and destinations for wholesale and retail distribution. Now in its 30th year, the annual Holiday World Show is Ireland’s largest trade and consumer travel show and with a huge range of options, it allows visitors the opportunity to plan their holiday with confidence. Whether you’re looking to uncover the latest travel trends or you’re looking for expert’s advice on that lifelong dream of a trip to the Far East, Holiday World Show has the answers. Take the opportunity to register as the show is a must-visit for anyone with a case of wanderlust, with everything on offer from safaris in Africa, cruises along the Caribbean, adventures of Home Holidays and culinary delights of Asia to name just a few. The travel and tourism experts are on hand to give one-to-one guidance for you and your colleagues. With over 50 countries represented, the 2019 Show will welcome the more US exhibitors than ever before, the largest home holiday pavilion and a new overseas property section. For those looking to get married abroad or searching for their perfect honeymoon, experts from Ireland’s favourite wedding destinations are there to answer all your questions and make your walk down the aisle that much easier.